We grind the toughest stumps in Palm Beach County.. When It Comes To Stump Grinding In Boca Raton, FL....... Call The Best! A necessary addition to every homeowner’s landscaping needs is reliable stump grinding services. Whether you need tree removal services or are planning on having a tree removed from your yard, the next step is having quality stump grinding performed. After you have had tree removal performed for your property, you’re left with a dead and rotting tree stump stuck in the ground. Not only are dead tree stumps unsightly, but they can attract unwanted bugs that live in them. These are almost always invasive pests, and you better believe that they’re going to be targeting your home next. The easiest way to prevent pests from living in your yard is take away their home-to-be. When you have the best Palm Beach County stump removal team service your yard, you’ll never have to worry about a thing! For the absolute best in local stump grinding services, you need to call Best Boca Raton Landscaping. Stump grinding isn’t necessarily a difficult process, but it is a time consuming one. This is especially true when you don’t have the right tools and equipment. Many homeowners will try to tie a chain around their stump and the bumper of their truck. And while you may be able to yank it out of the ground, you may also wind up doing significant damage to your vehicle. You could also try using a chainsaw to cut it right at ground-level, but cutting something so low to the ground is dangerous. Even more so without a high quality chainsaw or other stump removal equipment. But when you call us, you are getting a dedicated team of tree service specialists with the right tools and equipment for every job. You’ll never have to worry about accidents or damage to your property ever again when you call the right people for your needs! Whether you have stumps left over from palm trees, pine trees, oaks, and more, we can take care of them quickly and easily. 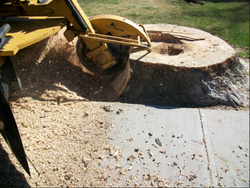 We use only professional grade tree stump grinders to guarantee the best results possible. While a local hardware or rental store may have a stump grinder to loan to you, we promise ours works far more efficiently. When an old and worn out stump grinder is more trouble than it’s worth, you’ll find us to be the affordable option each time you need stump removal. 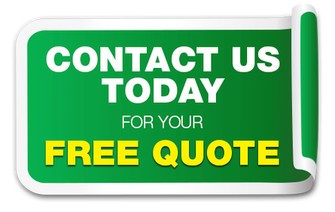 Calling our team for your stump removal needs saves you time. When you have a professional stump grinder service your home, you’re getting back to the things that matter to you. No running to store, fighting traffic, and returning your tool rental at the end of a long day. You’re getting personalized service to remove any and all tree stumps from your yard faster than with any other tree services company. When you’re ready to have the very best in tree stump removal services in the greater Palm Beach County area, you need to call us! We will be there for you each time to grind down your unwanted tree stumps.